3-Henry Samuel Richardson was born on 6 Sep 1881 in Paddy's Scrub, Osmaston, died on 28 Jul 1942 in Hagley, Tasmania at age 60, and was buried in Methodist Cemetery, Hagley. Henry married Melvina Gertrude Heazlewood, daughter of Charles Best Heazlewood and Mary Anna Dobson, on 18 Oct 1911 in Hagley, Tasmania. Melvina was born on 5 Jun 1882 in Westbury, Tasmania and died on 26 Sep 1956 at age 74. Another name for Melvina was Ineze. Little is known of his boyhood days, but as a youth he worked at Quamby House attending the gardens. When he married Inez Melvina Gertrude Badcock they lived in the cottage at Quamby House. They produced two sons, Ira and Ray. Melvie spent a lot of energy gathering the fallen fruit and nuts from the Quamby orchards to be boiled up and fed to the pigs. Her copper became quite green and was unable to be cleaned. Henry had a paddock near Knight's Bridge where he kept a cow. Each day they would have to drive the horse and buggy there to milk the cow and bring the milk home. For seven years Henry did share farming with Mr. Vere Heazlewood at West wood, where he gained a good reputation as a farmer. From there he bought the property, Vere Lyne, at Hagley. Henry was very devoted to the Methodist Church at Hagley. He held most of the positions of leadership in the church — Sunday School Superintendent, trustee, church steward, and a tenor singer in the choir. Two years before his death Henry had a severe stroke. He was too ill to attend to the farm and his son, Ray, with his wife Mona and young family moved to Vere Lyne to assist. Henry died on 28th July, 1942 and was buried in the Hagley Methodist cemetery. 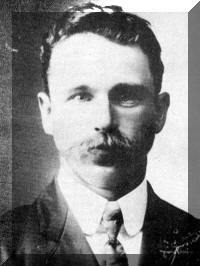 4-Ira Henry Richardson was born on 31 Mar 1913 in Hagley, Tasmania and died on 21 Mar 1957 at age 43. Ira married Pearl Florence Denney, daughter of Robert William Denney and Amy Hargraves. Pearl was born on 16 Feb 1917 in Upper Castra, Tasmania. They had four children: Yvonne Pearl, Ira Dale, Wendy Joan and Robert Henry. 5-Yvonne Pearl Richardson was born on 18 Sep 1939. Yvonne married David Aubrey Semmens. David was born on 12 Jul 1937. They had three children: Heather Joy, Vicki Ann and Tracey Lee. 6-Heather Joy Semmens was born on 29 Oct 1956. Heather married Gregory Edwards. Gregory was born on 31 Jan 1955. They had two children: Kerrin and Steven. 7-Kerrin Edwards was born on 25 Apr 1982. 7-Steven Edwards was born on 25 Dec 1984. 6-Vicki Ann Semmens was born on 4 May 1963. Vicki married John Dunham. John was born on 10 Sep 1958. They had one son: Andrew. 7-Andrew Dunham was born on 28 May 1979. 6-Tracey Lee Semmens was born on 4 May 1963. Tracey married Andrew Claxton. Andrew was born on 15 Jun 1963. 5-Ira Dale Richardson was born on 30 Aug 1942 and died on 26 Sep 1946 at age 4. Another name for Ira was Peter. 5-Wendy Joan Richardson was born on 12 Nov 1943. Wendy married Gerald Charles Aulich. Gerald was born on 25 Apr 1942. They had three children: Christopher Henry, Teresa Mary and Michael Anthony. 6-Christopher Henry Aulich was born on 21 May 1965. Christopher married Sue Johanson. Sue was born on 7 Jul 1964. 6-Teresa Mary Aulich was born on 16 Aug 1966. 6-Michael Anthony Aulich was born on 21 May 1969. 5-Robert Henry Richardson was born on 9 May 1947 and died on 28 Oct 1973 at age 26. Robert married Christine McTye. 4-Raymond Charles Richardson was born on 15 Apr 1915 in Hagley, Tasmania and died on 8 Feb 1981 at age 65. Raymond married his first cousin Mona Annie Richardson, daughter of Victor Richardson and Emily Florence (Queenie) Southernwood. Mona was born on 1 Oct 1919 in Hagley, Tasmania. They had four children: Margaret, Kaye, Jeane and Tony Ray. 5-Margaret Richardson was born on 14 May 1942. Margaret married Michael Hart. Michael was born on 23 Feb 1940. They had two children: Rodney and Amanda. 6-Rodney Hart was born on 3 Mar 1972. 6-Amanda Hart was born on 1 Aug 1974. 5-Kaye Richardson was born on 14 Dec 1947. Kaye married Peter Jetson. Peter was born on 3 Jun 1950. 5-Jeane Richardson was born on 3 Jun 1950. Jeane married William Hellinger. They had two children: Jamie and Andrea. 6-Jamie Hellinger was born on 23 Dec 1972. 6-Andrea Hellinger was born on 27 Aug 1974. Jeane next married Peter McQueen. Peter was born on 23 Feb 1950. They had one daughter: Tania. 6-Tania McQueen was born on 1 Oct 1978. 5-Tony Ray Richardson was born on 21 Nov 1951. Tony married Marie Louise Howard. Marie was born on 27 Jun 1959. They had two children: Timothy and Christopher. 6-Timothy Richardson was born on 23 Dec 1977. 6-Christopher Richardson was born on 14 Feb 1980.